Workers Comp Attorney Giffels has been involved in Michigan Workers’ Compensation Law since 1988. Initially, he was a claims adjuster for Liberty Mutual Insurance, then Citizens Insurance. After graduating, with honors, from law school in 1994, he defended insurance carriers and employers at a downtown Kalamazoo law firm. Attorney Giffels represents only injured workers in the Workers’ Compensation Court. He refuses to represent employers or insurance companies. His successful track record speaks for itself in this area of law. When a worker is injured while at work, or when working, the Michigan Workers Compensation Law mandates that the employee be compensated for those injuries. 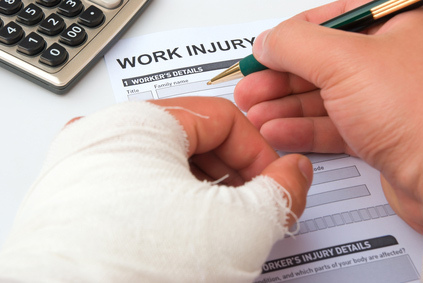 There are three main types of benefits to which the injured worker is entitled: 1) wage loss; 2) medical; and 3) rehabilitation (medical and vocational). Wage loss: The Act requires that an injured worker be paid 80% of his after tax weekly wage when unable to work due to a work related injury or industrial disease. There is a seven (7) day waiting period before the wage loss benefits kick in, however, after fourteen (14) consecutive days of disability, the working period is eliminated. The employer and their insurance company may owe the injured worker penalties of $50 per day if they do not either dispute the claim or pay the claim within thirty (30) days. There is no limitation in time on these benefits. They are potentially lifelong in nature. Medical: The employer and insurance carrier must promptly furnish medical treatment for a work related injury. The employer can legally require the injured worker to treat at a health care provider chosen by the employer (so called “company clinics”). After ten (10) days, the injured worker may then treat with a doctor of their own choice. Rehabilitation: Reasonable rehabilitation services are a requirement of our workers compensation law. Although lesser known than wage loss and medical benefits, your right to vocational rehabilitation services could amount to a substantial and valuable benefit to you if you are unable to return to your job. The employer could be responsible for paying for your education under the right circumstances and with the help of the right attorney. Call today and speak directly with the experienced Kalamazoo Workers Comp Attorney James Giffels about your case. There is no cost and no obligation to find out what your rights are. What should I do if my employer’s insurance company will not pay for my wages or medical bills from a work injury? You have little option but to contact an experienced attorney and get advice. The workers’ compensation laws have undergone a great number of changes in recent years, making it imperative that you hire an attorney with experience in this area. Trying to work it out on your own has become next to impossible, and you run the risk of making your case worse. I am being paid workers’ compensation benefits now. Will it cost me money to speak to an attorney? No! If you have been in the workers’ comp system for awhile or have concerns about what the insurance company or employer are up to, it is always a good idea to speak with a knowledgeable attorney with experience in this area of the law to learn what your rights are! Call Attorney James Giffels and find out what your rights are. Can my employer fire me if I pursue my worker’s compensation case? No. Michigan law forbids employers from retaliating against workers for pursuing their legal rights in a workers’ compensation court. Firing an employee for pursuing their rights is illegal.